Christian Fiction –Wonderful epic you won’t put down! 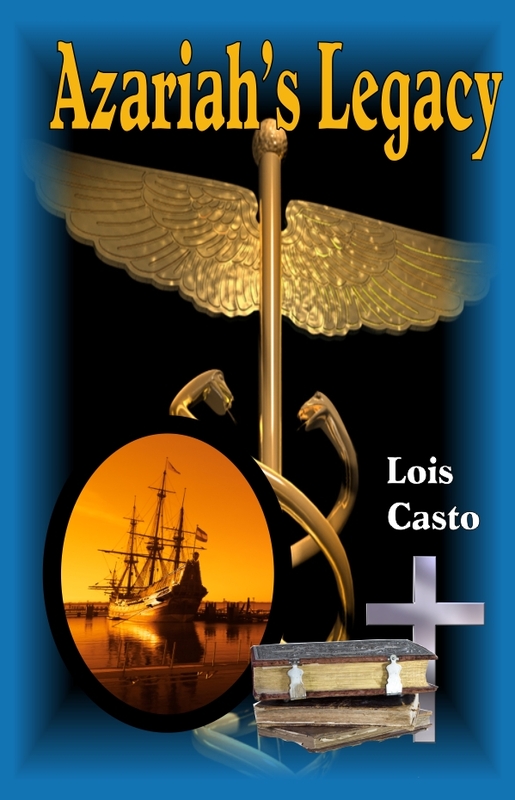 From the deck of Captain Kidd’s ship to present day, this is a perfect read for the whole family. Azariah’s legacy is his mother’s final words to him, God will take care of you. As her heart is pierced with a marauders sword, the eight year old boy scrambles away from his burning home with her legacy to take him into manhood. From pirate adventures with Captain William Kidd, to his studies of medicine in Angola with an African doctor trained in China, Azariah is led to the American colonies where his medical practice takes him to a Philadelphia almshouse, the Virginia lowlands, and the mountains of western Virginia. Although his life is not without pain and problems, the solution to Azariah’s eighteenth century worldwide quest for a family and home can best be summed up in the twenty first century words of a kindergarten student who presented a blank page to his teacher when instructed to draw a picture of his family. When the puzzled teacher asked why he didn’t complete the simple task, the child replied, I can’t do it. I have hundreds of people in my family. This wonderful story will keep you turning the pages and give you inspiration. Lois Casto is a retired educator. Inspirational fiction has always been of interest to her and it is now her goal as a Christian and fiction writer to provide enjoyment and inspiration for others. She is a founding member of the Appalachian Word Smiths and a successful entrant in several West Virginia Writers competitions over the years. Lois lives in central West Virginia.